Your Garden Center is competing with anyone or anything that takes your customers' time and/or money. If your customer runs out of time or money or worse yet, both, they will not be spending either with you. Good signage addresses the time constraint as shoppers can quickly find what they’re looking for, pay and get on with their day. 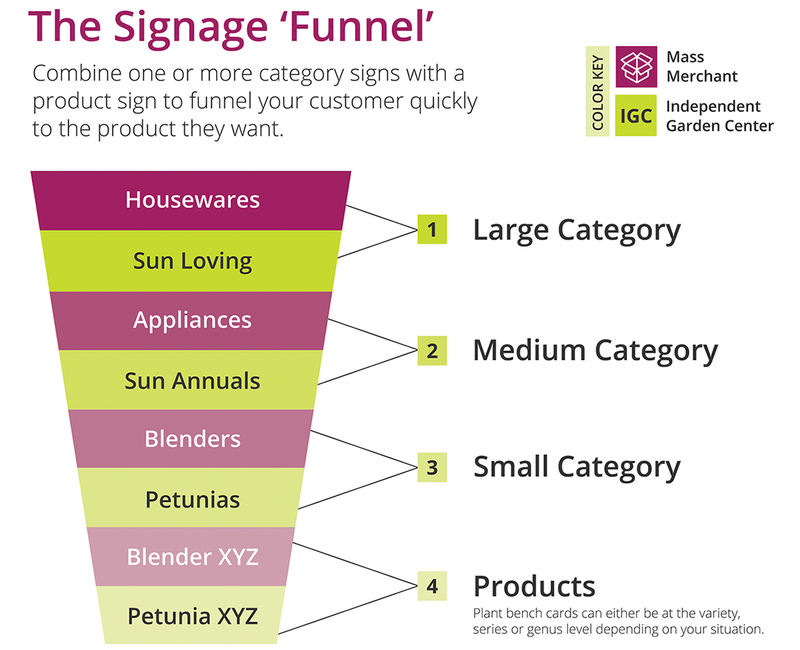 Think of your road frontage as the widest end of the funnel and actual products and plants (or product and plant groupings) as the skinniest end of the funnel, you should have proper signage to get your customer from their car to what they want to purchase quickly and easily. Roadside: Feather Flags and/or Large Banners. We know some sign ordinances makes this tough, but do all you can to get peoples' attention. Messages should be rotated seasonally and be easy to read and understand. Entrance: Should be well marked and inviting. 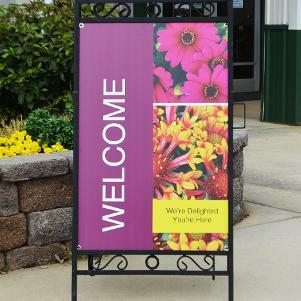 Using portable A-Frame sign holders with weekly specials, shop local or seasonal information is a great way to welcome visitors. Department & Plant Groupings: Wen a shopper enters store they are unfamiliar with, they stop and scan the area looking for a sign to guide them in the right direction. Mak sure you have proper signs (Gift Shop, Garden Tools, Aquatic Plants, Native Plants, etc.) that are easily seen AND read. 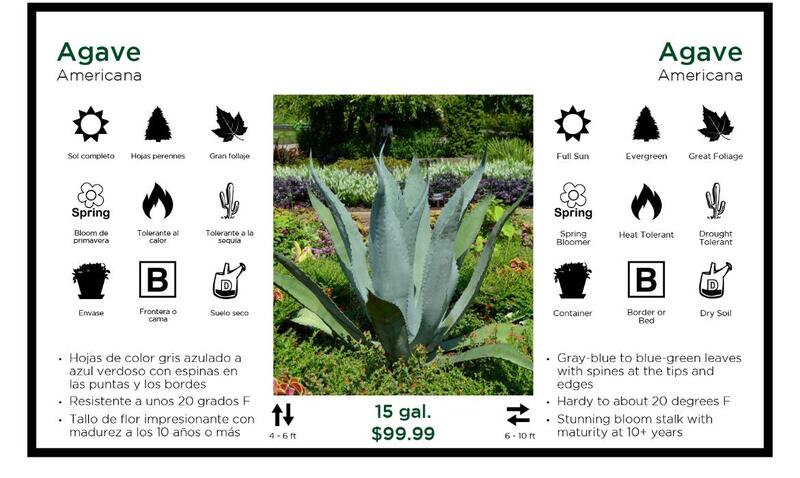 Product Signs: Give your customers the information they need to make the purchase decision with Bench Cards, Pot Labels and/or Hang Tags.